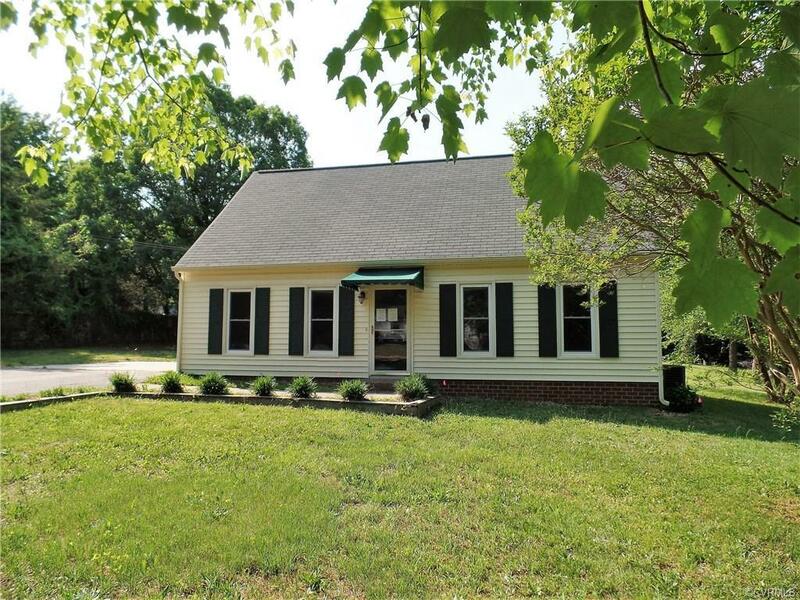 This charming home, which is nestled on a beautiful 1 ½ acre lot, is the LOWEST priced home in the area! The home is seated well off the road, with several mature trees in front of the home near the street, for added privacy. The home has a long driveway, which can easily fit at least six cars, and a spacious backyard where you could easily create an amazing outdoor living area. The home offers an open living room with laminate flooring, a ceiling fan, and plenty of natural lighting from the two windows. The living room is separated from the kitchen by an oversized doorway and column. The kitchen is cozy and inviting and offers ample cabinets and a side door that leads to the driveway. The laminate floors extend throughout most of the downstairs area and into the two bedrooms. Each level of the home offers two bedrooms and one bathroom, with a ceiling fan in each bedroom. The bedrooms on the second level each have a long bench by the window, making it a great area for seat cushions. HUD homes are sold as-is, with no warranty or guarantee by the Seller or Listing Broker.